Healthy air is very important to every living creature. Poor air tends to harbor disease-causing organisms which can be fatal to human health. Crowded places offer good grounds for multiplication of such bacteria but private homes are no exception either. The HVAC system is a main determinant of the quality your indoor air and so, its components should be properly treated and taken care of. First and foremost, proper installation of the air duct system ensures that there is suitable air circulation in any given home or building, thus reducing the chances of the survival of such micro-organisms. Following that, a well-executed installation is essential for the efficiency of the HVAC components. Secondly, regardless of how clean your air duct components are, some of these disease-causing organisms will always be present within. This increases the chances of dirt or bacteria being blown into the air you breathe. As such, regular component cleaning and maintenance should be done so as to ensure quality indoor air. Poorly maintained air ducts can also cause fire accidents. The dust, debris and most importantly lint are extremely flammable materials and when in contact with heat they can easily spark on a fire. Likewise, malfunctioning components can also be a serious trigger. If however air duct cleaning and maintenance is performed regularly, these malfunctioning component parts are identified and can then be repaired. Component cleaning gives the chance to disinfect the ductwork, to guarantee that quality air is delivered in your home after the service. 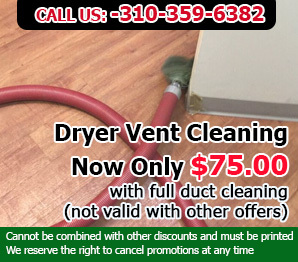 In addition, regular cleaning and maintenance of the air duct prolongs the life of components and makes sure they do not need to be replaced every time due to constant neglect. Lastly, apart from benefiting health and prolonging equipment life, maintenance of these pieces also ensures that energy is saved. Due to the bulkiness of the debris, equipment efficiency is reduced, which results in more energy consumption. Cleaning the HVAC components will help establish better overall operation and will also lead to a decrease in energy consumption. Component well-being is key to HVAC efficiency and maintaining high indoor air quality. 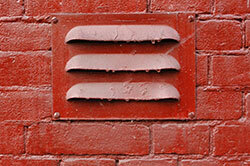 At Air Duct Cleaning Redondo Beach, our technicians are experts when it comes to component maintenance and servicing. Give us a call today and make sure your home or building stays safe and sound!